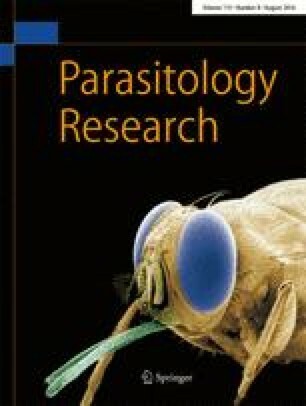 Microsporidia are widespread endoparasites of animals, including humans. They are characterized by highly modified morphological and genetic features that cause difficulties in elucidating their enigmatic origin and evolution. Recent advances, however, indicate that the Microsporidia have emerged from the Rozellomycota, forming together either the most basal lineage of the Fungi or its closer relative. The Rozellomycota comprise a huge diversity of uncultured environmental clones, with a very few known species endoparasitic of algae and water moulds, like the chytrid-like Rozella, and of free-living amoebae, like Nucleophaga and the microsporidia-like Paramicrosporidium. A possible ancestral microsporidium, Mitosporidium, has recently been described from the water flea Daphnia, since the phylogenomic reconstruction showed that it branches to the root of the microsporidian tree, while the genome analysis revealed a fungal-like nuclear genome and the persistence of a mitochondrial genome. Here we report the 18S rDNA molecular phylogeny of an additional microsporidium-like endoparasite of amoebae, which has a developmental cycle almost identical to that of Nucleophaga amoebae. Our results show that the endoparasite is closely related to N. amoebae, forming a distinct species, for which we propose the name Nucleophaga terricolae. Furthermore, the Nucleophaga lineage is recovered as sister to the Microsporidia while Mitosporidium turns out to be member of a well-supported group of environmental clones. These results raise the question about the actual ancestry of the Microsporidia within the Rozellomycota. A precise and robust phylogeny will require further comparative genomic studies of these various strains, and should also consider the primitive microsporidia, for which genetic data are still lacking, because all these organisms are essentially morphologically similar.